2. In small bowl, stir together flour, baking powder, baking soda, cinnamon and salt. Add to softened oatmeal. 3. Add remaining 1/2 cup (125 mL) buttermilk along with eggs, canola oil, honey or maple syrup. Stir with rubber spatula just until well combined. 4. 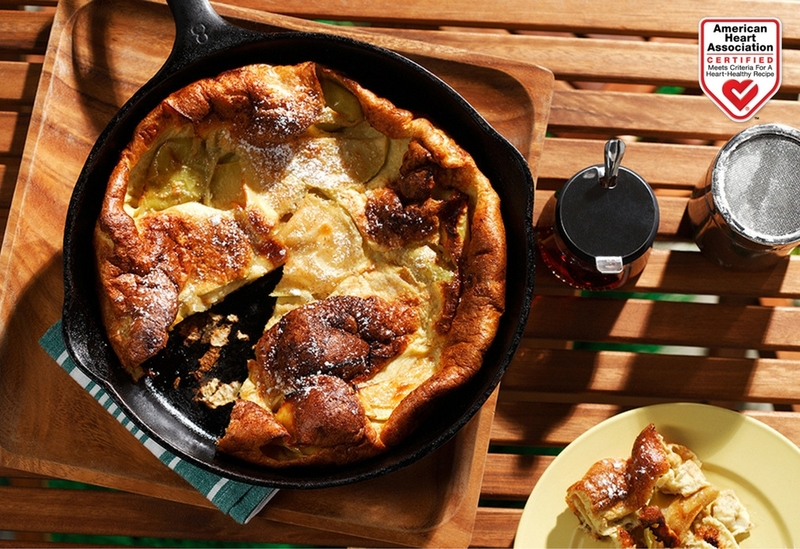 Heat large, heavy skillet over medium-high heat and spray with canola oil cooking spray or brush with canola oil. 5. Cook about 1/2 cup (125 mL) batter at a time; spread it out with bottom of ladle or spoon (it will be thick) to about 4 inches (10 cm) in diameter. Turn heat down to medium-low and cook until edges appear dry and bubbles begin to break on surface. Using thin spatula, flip and cook until golden on other side. 6. Repeat with remaining batter. 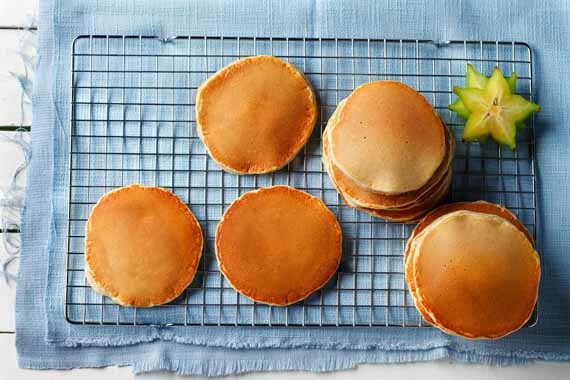 If you like, keep cooked pancakes warm in 200 ˚F (100 ˚C) oven while cooking rest. 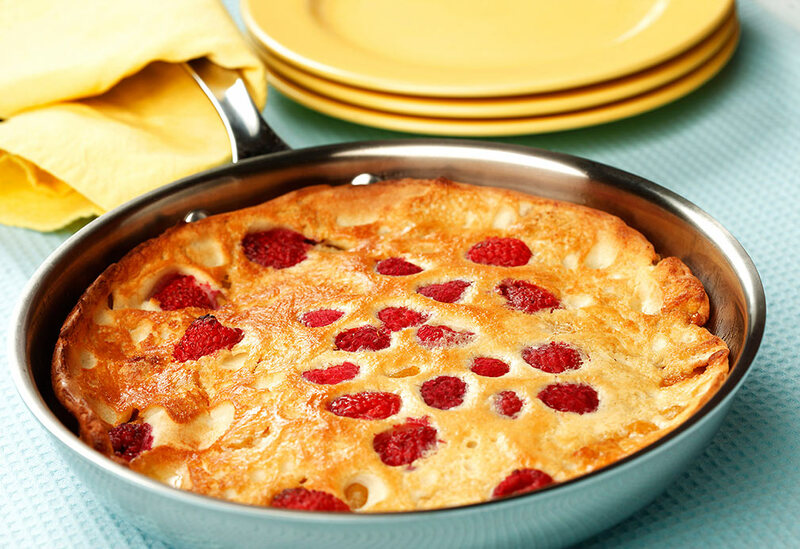 Serve with maple syrup and enjoy! 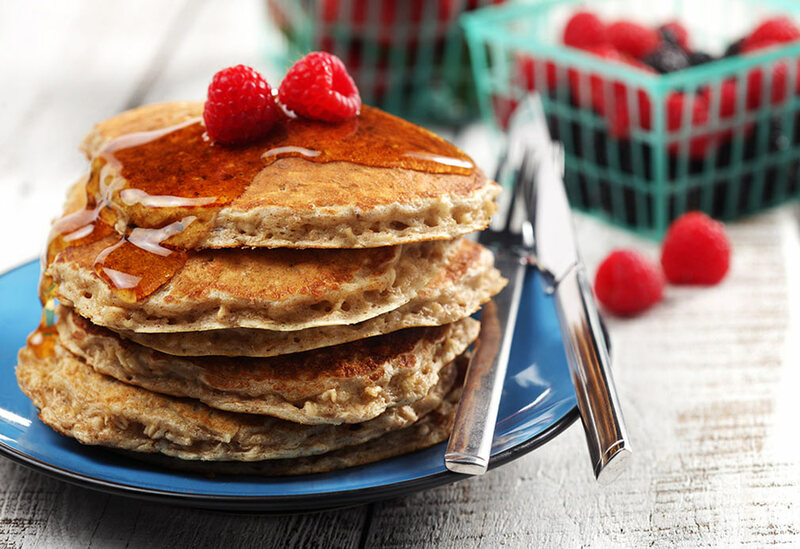 Tips: If you like, scatter the tops of pancakes with fresh or frozen blueberries or sliced banana as soon as you spread the batter into the pan; this way, the fruit is evenly distributed and the blueberries won't turn the batter purple with their juice. Freeze leftover pancakes with a piece of waxed paper in between them to pop into the toaster (straight from frozen) on busy weekday mornings.